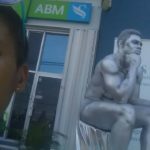 Seriously, what would make me sit for hours to be painted like a statue, and then sit or stand for another hour or two, or more like a statue. I wouldnt but in the name of art, somebody did. 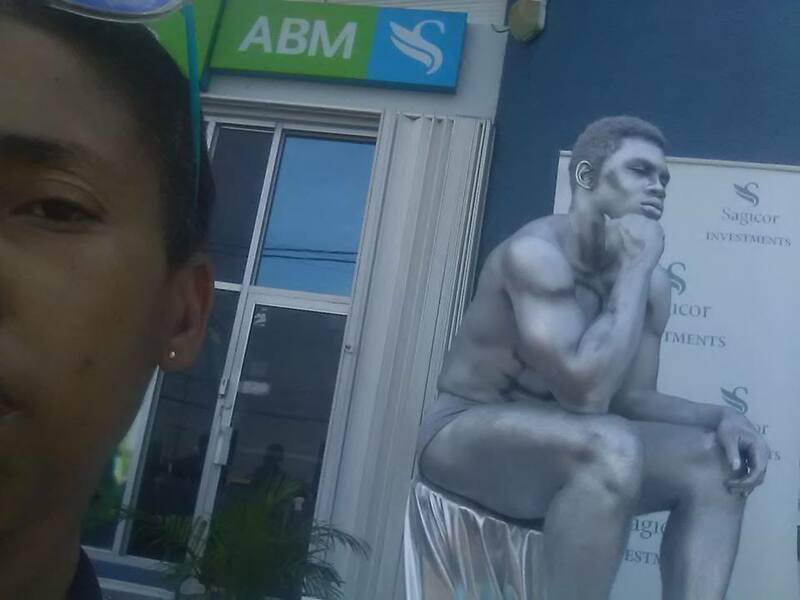 This handsome human statue was used by Sagicor to pull hundreds of passersby to their impromptu boothe in Half-Way-Tree on October 10, 2018. Sure was scary for some when he moved.